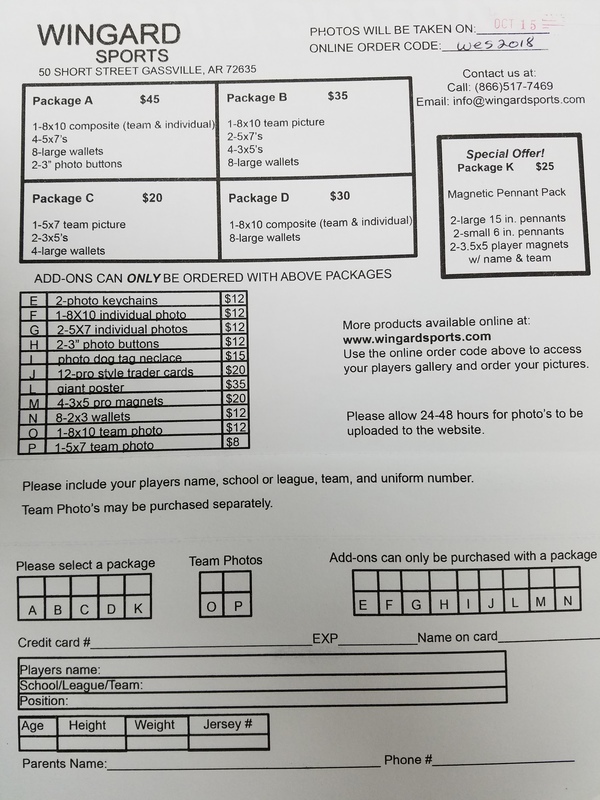 If you are the parent of a fall sports athlete and did not receive an order form prior to picture day, you can still order photos. Go online to www.wingardsports.com and browse the galleries. You can access the West Side gallery with the code wes2018. You can then order your photos online. Call Wingard at 866-517-7469 or email info@wingardsports.com.